Connect with customers whenever they are ready. Email marketing still consistently drives brand visibility and converts new leads for companies. Directly connecting with your clients about resources and information valuable to them is one of the smartest moves a company can make. But are your email marketing campaigns effectively helping you reach your marketing and sales goals? If done correctly, email marketing can become a huge lead generator for your business. With the use of sophisticated contact management, demographic data, and segmentation that is now available, we are able to identify those prospects who would most benefit from your products and services. We can then send personalized emails directly to them. No matter where in the sales process your potential client is, you can help them along through best practice email marketing.  What are the Benefits of KEO Marketing’s Email Marketing Program? Target clients at all stages of the buying process. Connect with more highly qualified leads. Communicate one-on-one with prospects at a low cost. Expand your network of prospects. Leverage and distribute relevant, engaging content.